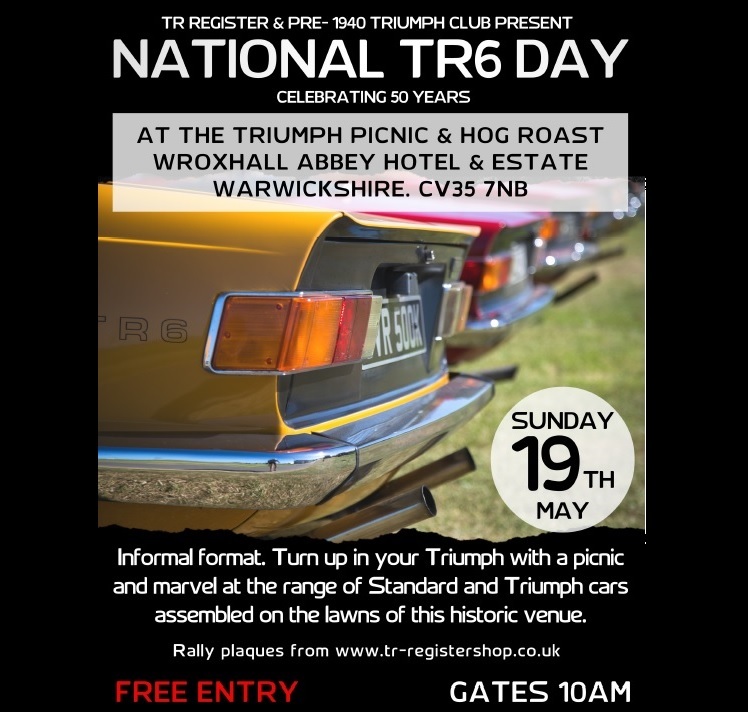 To celebrate 50 years of the TR6 a picnic and hog roast will be held at Wroxall Abbey Hotel & Estate, Warwickshire, CV35 7NB. This is an informal event with gates opening at 10.00am and free entry. Please note that the meeting point for those wishing to travel together is now the Donington Moto Services on the M1 - DE74 2TN. These are accessible via. J24 southbound or J23A northbound. Please be there in time for a 10.00am departure. Members wishing to attend this event may also make their own way directly to Wroxall.